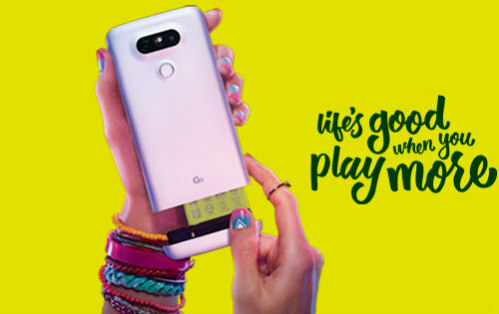 The highly anticipated modular G5 smartphone has just been unveiled by LG ahead of the Mobile World Congress in Barcelona, Spain. That’s where mobile leaders go to gather, collaborate and conduct business in connection to cutting-edge mobile products and technology. It occurs each year at the end of February, and this year LG’s modular G5 smartphone is one of its stars. The G5 is being called one of the most anticipated and yet worst kept secrets of the mobile world, but it’s here nonetheless. The worst kept secret part stems from the fact the South-Korean based LG already released a touch-enabled quick cover for the device earlier this month ahead of its official arrival. Some of the features of the G5 smartphone include a sleek, all-metal body that’s actually curvy in appearance, a 5.3-inch screen display, a slide out battery to make swapping them out that much easier and a feature known as “always on display” so you never have to press a button again to check the time and date. The new G5 comes with a Snapdragon 820 processor for increased speed and a 16-megapixel camera with an additional 8-megapixel sensor and a 135-degree lens for wide-angled shots. At this point the G5 smartphone will only be available in four colors, which are silver, gold, pink and gray. While pricing and availability have yet to be announced, it’s projected that the LG G5 smartphone will likely keep with flagship device pricing, which would theoretically put them at around $550 a piece. This elevates them into the upper stratosphere of mobile devices price-wise, but they’re still a bit more economically feasible than the Apple iPhone 6 Plus 64 GB right now without a two-year contract. That’s because you can get smartphones at a significant reduction through mobile carriers if you sign up for two years of service. If not, you’d have to pony up to as much as $750 for the iPhone 6 while it’s still a new commodity. There is a collection of smart add-on devices for the LG G5 that can turn the new smartphone into either a digital camera or a high definition audio player. The LG CAM Plus gives users buttons for power, shutter, record and zoom features along with a better grip, all of which purportedly allows them to snap even better pictures with the device. The CAM Plus is also said to boost battery capacity, alleviating the worry of draining the battery when it’s used in this manner. For 360-degree videos and images there’s a VR camera accessory as well. If music’s your thing and sound is everything, there’s another module that conveniently turns the G5 phone into a high fidelity speaker. As stated earlier, there’s no word yet on an official release date for the LG G5, but it shouldn’t be too long after the GSMA Mobile World Congress concludes in Barcelona toward the end of this week. If you’re interested in the phone and other mobile technology solutions featured at the event, you can keep abreast of the happenings and unveilings at the GSMA official website.